Welcome to Smith & Sons Essendon! If you are looking for the easiest and most cost-effective way of renovating your home in the Essendon area of Melbourne - you have come to the right place! Our building professional Joe DeBono has a great deal of experience in all types of projects from Bathroom Renovations through to full home extensions. Joe is an experienced home builder and no project is too big or small. Joe works closely with owners and if required architects and suppliers during the design phase to ensure each project meets customer’s expectations. Smith and Sons Essendon are quality builders who specialise in home renovations and take care of the whole process from plans to budget to plan approvals and construction - so you don't have to do a thing! Smith & Sons Essendon are practical and flexible renovation builders who tailor the home renovation process to your specific needs - they want to know as much as possible about you and your plans for your home so they can be sure your renovation is a smooth process and the finished product is going to suit your requirements now and long into the future. 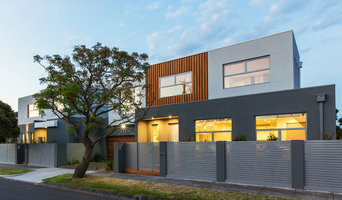 As a family owned and run business - Smith & Sons Essendon know the importance of getting your home renovation completed efficiently and on-time to minimise any interruptions to the family lifestyle and use only quality materials and qualified staff and tradespeople to make sure your home is constructed safely and to all council requirements. 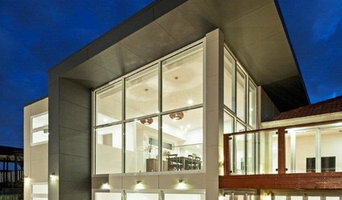 Multi Award Winning Custom and luxury home Builder in Melbourne dedicated to quality. Vitalmark Constructions continuously strives for excellence, consistently creating quality homes and exceeding the highest standards in home building. Over the past decade we have established a reputation for excellence in quality home building and outstanding service to satisfy our customers’ needs with honest, transparent and personalized customer service. “Every home we build is as though it is our own" Boris Lipengold. Founder and Managing Director. 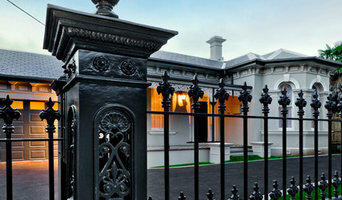 Renovation One is a leading Melbourne provider of boutique building and renovation services. Our award-winning projects are a result of friendly and professional client-relationships, inspired architectural partnerships, expert project management, and a level of detail and quality of finish that is rarely found in the building industry. We are an accredited MBAV Green Living Builder, and Director and consultant Sean Kiley is a sitting member of the Master Builders Association Housing Sector Committee and has over 20 years of building experience. 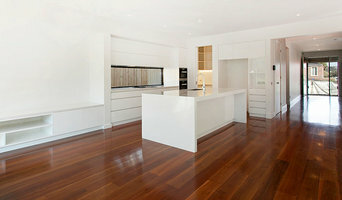 A qualified carpenter by trade, Sean received the Australian Best Renovation and Addition in 2008. Sheridan Building specialize in custom homes and extensions. Formed by two brothers, who started their building careers with their father, who started his building career with their grandfather. Many building companies have a family connection, but few span three generations in the one area of Melbourne. This history gives the current directors the benefit of having grown up in construction all their lives. Resulting in a depth of knowledge that is rare today. Sheridan Building have delivered many award winning projects over the past 10 years. In 2011 our company won more awards than any other builder at the Housing Industry Association Awards Victoria (HIA). Winning awards is great recognition by experts that your work is well above the competition, and gives confidence to prospective clients that we can deliver their dream home. But awards and high quality are only part of the story. Committing to a new home or extension is one of the biggest financial decisions a home owner can make. It can be a stressful time and let’s face it, we have all heard the horror stories where builder-client relationships have broken down. One of the ways we aim to nurture the client relationship is by respecting the clients budget. Whether we are working on a $200,000 or $2,000,000 project, we do all we can to get the best value for money for the client. To achieve this a level of transparency is required from us, which we find gets the best result for the client. Sheridan Building place a high value on customer relations. Referrals from past clients are the best form of recommendation, and we rely heavily on them. We know all our clients are happy with their new homes, and we have the testimonials to prove it. But we are never more satisfied than when we receive comments from clients about how stress free the project ran, and that they will build with us again. That is what we aim to deliver, a satisfied client in a beautiful home. We are a building company that specialises in home renovations, extensions and new homes for Melbourne's east and south-eastern suburbs. i2 homes is a specialist construction company providing quality service in residential and commercial construction. Every i2 homes project is built using our extensive experience and commitment together with honest communication, superb quality, skilled contractors and your own total project management. Building with i2 homes is your obvious choice. A small builder specialising in smaller building projects with a focus heavily on quality not quantity and customer service. A small builder who takes on all carpentry aspects and I call on other trusted carpenters for the larger jobs. I have built relationships with a range of other trades to assist when required, or I am more than happy to work along side other trades you would like to use. In other words, I provide flexibility. I am not rushing to complete your job to move onto the next one and I am more than happy to openly discuss any issues that may arise. There are no problems, only solutions. Registered Builder with the Victorian Building Authority, Qualified Carpenter, Fully Insured and I provide a guarantee with all my workmanship. LG Building is a Melbourne based company established by Leon Gruchy. 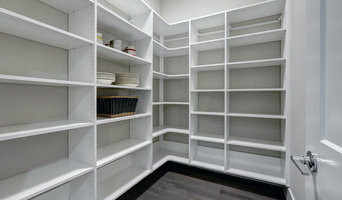 We have over 20 years experience in the building industry. We have worked with a range of high-end architectural building firms as carpenters and builders, enabling us to gain broad knowledge and a variety of skills. Whether you are building a new home or renovating your existing residence, LG Building understands the investment you are making. That’s why we offer a dependable, personable and committed service to each individual project. By limiting the number of jobs running at any one time we can ensure that we are able to provide our fullest attention and commitment to your project. LG Building offers a high level of commitment, skill, and attention to detail for your building project, with a team of equally professional employees and subcontractors. We offer a complete package of building services including drafting, planning, and construction. So whether you’re looking for complete project management or have your own plans, LG Building will turn your vision into a reality. Riviera Building Group is an Award Winning building company who specialise in the construction of architecturally designed commercial projects, new homes, renovations and extensions. We work closely with architects, building designers and individuals to turn your dream into a reality.